Previously I wrote an article on the Chargers' weakest 5 positions and will now look on the positive side of the team. 1) Quarterback: I don't think anyone can argue Rivers is a top ten quarterback and maybe even in the top five. He is the Chargers' franchise guy and can win games all on his own. In the modern game it is vital to have a top class quarterback to win Championships judging by previous super bowl winners in the 21st century. Overall quarterback is probably the Chargers' strongest position overall and yes I know Rivers had 20 interceptions last year but he also had 4,600 yards and 27 touchdowns. 2) Tight End: Any team with Antonio Gates on their Roster is going to be extremely strong at the Tight End position. He is a future Hall of Famour and is an extremely safe pair of hands for Rivers in the end zone and on third down. If Gates can stay healthy Rivers will certainly have a bounce back year, as when healthy, Gates has as good a pair of hands as ever. The Chargers also have a strong set of backups at Tight End including Randy McMichael who has been a very useful backup for Gates over the years. Rookie Ladarius Green also has lots of potential and like Gates is an impressive pass catching Tight End. 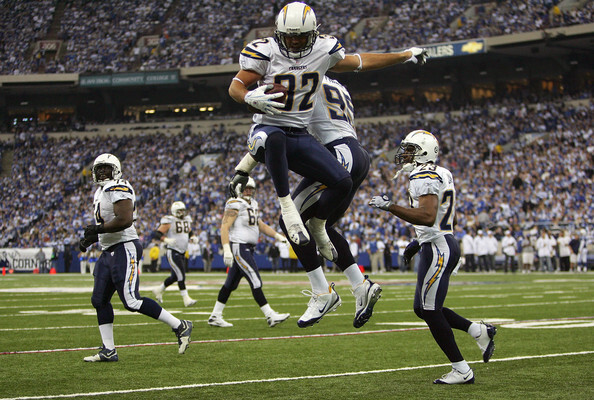 3) Free Safety: Eric Weddle was one of the few real positives to come from 2011 after putting in an all pro season. He received a big contract in the previous offseason which was heavily criticised but the critics have been proven wrong and Smith's decision to give Weddle the big contract has proven to be an inspired decision. Weddle was tied on most interceptions in the league last year with 7 and was solid as a rock tackling whoever came near him. Weddle is now 'the man' on the Chargers defence and quarterbacks will be weary of throwing the ball anywhere near him like they are with Ed Reed. 4) Outside Linebacker: I didn't think I would ever be saying this at the end of last season but AJ Smith did a very impressive job in the offseason to improve the teams pass rush and linebacker core. With Shaun Phillips and 11 sack man from last year Antwan Barnes already on the Roster the Chargers went shopping in Free Agency and added Jarrett Johnson. Johnson has been dubbed by many as one of the most underrated run stopping linebackers in the league. He was very solid for the Ravens and a valuable player for them despite being overshadowed by Ray Lewis in his time at Baltimore. Johnson will be used primarily on rushing downs as the other three outside linebackers are mainly pass rushers especially Barnes and... Melvin Ingram was the Chargers' first round pick and was one of the shocks of the draft as he fell from a predicted top 10 pick to number 18 on draft day. He was such a surprising draft day plummet that AJ Smith and Norv Turner didn't even have him on their shortlists. Ingram should make an instant impact for the Chargers with a possible Aldon Smith type effect. Ingram will go into rotation with the other Linebackers providing the team with four potential starting outside linebackers. 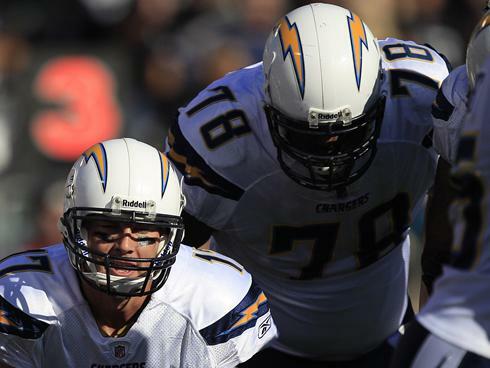 5) Left Tackle: After loosing Marcus McNeil in the offseason the chargers desperately needed a dominant left tackle to defend Rivers' blindside. Jared Gaither who stepped in for the Chargers in the last few games, played like an all pro denying all the pass rushers a run at Rivers and because of this Chargers returned to winning ways.Hopefully the 6'9 monster of a man will carry on this impressive play after receiving a new contract by the Chargers in the offseason in an attempt to protect Rivers.